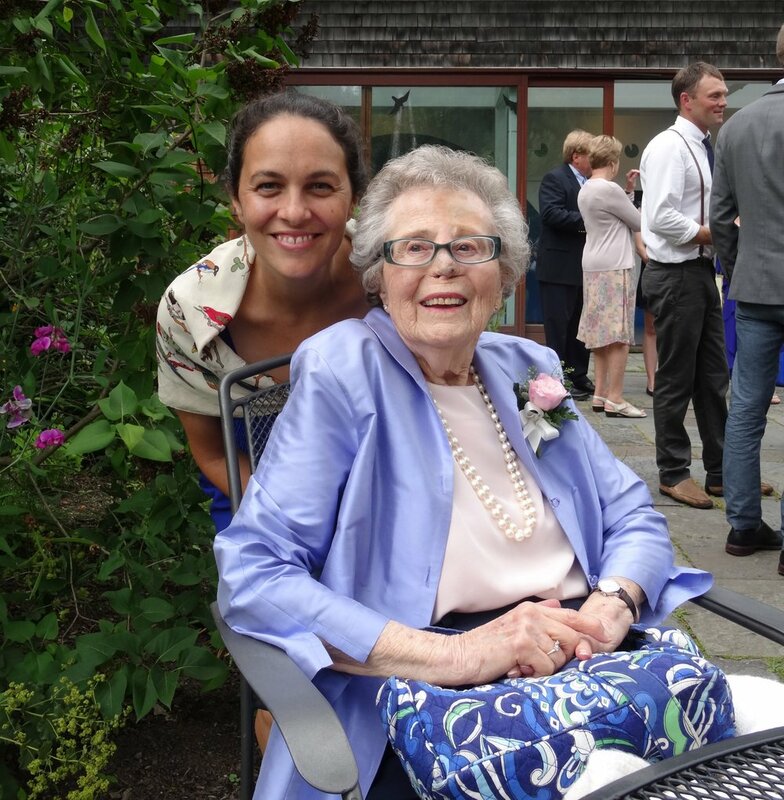 Phoebe Brush, owner and lead filmmaker at Senior Portrait Films, with her grandmother, Harriet. Family stories have always mattered to me. From an early age, I loved the lore and photographs of my parents and grandparents. Then, during my college years at American University, I learned that women’s history resides largely in oral tradition. Inspired, I sat down with my grandmother and an audio recorder to create a small oral history. After this, I knew I wanted my life’s work to revolve, at least in part, around discovering and documenting people’s stories. Much later, in 2018, I lost two of my grandparents. The day my maternal grandfather died, I dug out the interviews I had filmed with him and my grandmother ten years prior. As I digitized my grandfather's interview to share with family, I watched him, felt his presence, and listened to him describe the joy he found in nature, the healing he believed could be found there. My grandmother, his wife, was still alive at the time. A life-long lover of books, my grandmother could no longer read as she once had due to age and illness. She spent a lot of time in front of the television. I posted her interview online, where she could access it easily from her iPad. To my surprise, she loved watching her interview and did so repeatedly. I had created the interviews for posterity, so the next generation could know a bit of their history, but here was my grandmother finding joy in the memories she had recorded with me so many years earlier. By the time I discovered and uploaded these videos for my grandparents, I had more than fifteen years of experience in the craft of documentary filmmaking. Already in love with the form, I came to Durham in 2002 to receive my Certificate of Documentary Studies from Duke’s Center for Documentary Studies. Then, I spent six years with Full Frame Documentary Film Festival, where I worked as Director of Programming. I have been awarded grants and residencies by the Southern Documentary Fund and the Goldwell Open Air Museum and in 2011, was the recipient of the North Carolina Arts Council Fellowship for Filmmaking, after which I went on to make an award-winning documentary, Yucca Mtn Tally. My films and videos have screened at film festivals, microcinemas, and galleries across the country, and my documentary work has been honored with multiple awards and citations. In short, I am deeply schooled in this form, yet rewatching these family films touched a new chord for me. Flying to see my maternal grandmother for the last time before she died, I sat next to an older man who was delightfully generous with his stories. In just an hour's time, he painted a picture of his lived experiences entirely through anecdotes. When I reflected on the hour I spent with him, and the observations of my grandmothers reminiscing, it occurred to me that I had the experience, the equipment, and the desire to facilitate a meaningful storytelling experience for seniors. I knew then Senior Portrait Films was a vision worth pursuing.